Did you ever wonder where IBIS originally is at home? So did I, so you can imagine how happy I am that Jean Claude Junqua sent me a couple of shots he made during a recent sortie. He generously allowed me to present them here, merci bien Jean Claude! France, near Biarritz, which is in the Baskian coastal area in between the Pyrenean mountain range to the south and the Vendee region further up north. Want to look it up in Google Earth? 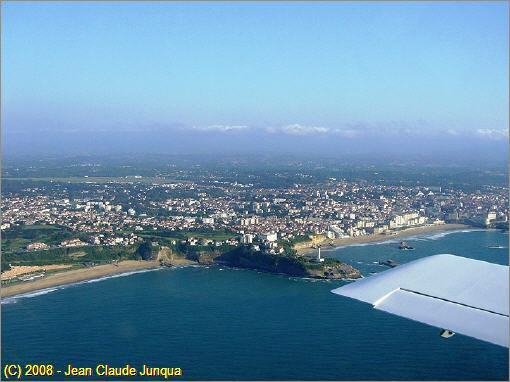 Check out St. Jean de Luz city at postion 43�23'N-001�40'W. 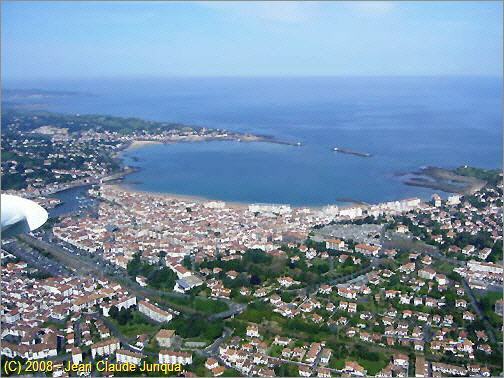 Saint Jean de Luz, looking WNW. 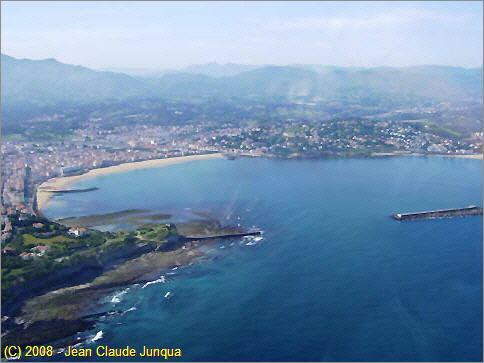 approximately 8 NM south of Biarritz and about 5 NM north of the French/Spanish border. With information extracted from this picture and using Google Earth as a measuring tool I could deterimine that Jean Claude was flying at an approximate position of 43�23'13.3"N 1�38'19.8"W, which is just east of the motorway that runs to the south-east of the city. Now, which conventional spam-can's pilot seat would give you a magnificent visibilty like this? Flying an IBIS is just a great experience. This shot was taken from the front seat looking to the left. On the far left part of this picture a small part of the left IBIS wing is still visible.